Beach Haven is a borough on Long Beach Island in Ocean County, NJ. The town is between the Atlantic Ocean and Manahawkin Bay. Beach Haven NJ real estate includes houses, condos and townhomes. There are a few large houses with eight or nine bedrooms. Many houses have three or four bedrooms. Condos with one or two bedrooms are available. Beach Haven NJ luxury homes for sales have amenities such as hot tubs, spacious decks and fireplaces. Many of these homes are on the beach or just a short walk from the beach. Some Beach Haven NJ water front properties are townhomes in a complex with a private marina, a swimming pool and a hot tub. The beach is one of Beach Haven's main attractions. Those who purchase Beach Haven NJ water front properties can easily participate in recreational activities in the water. The beach here has places for swimming and sunbathing. Those who enjoy shopping will be delighted with Beach Haven's specialty shops. People who have just purchased Beach Haven NJ luxury homes for sales can furnish them with antiques from Beach Haven Antiques. They can purchase artwork for their new homes in the galleries at Bay Village. Specialty shops at Bay Village sell accessories, toys, gifts and clothing. Hungry shoppers can purchase fudge, taffy and cookies in shops here. The whole family will enjoy visiting Thundering Surf Water Park or Fantasy Island Amusement Park. The water park has water slides and a play area for toddlers. The amusement park has children's rides and arcade games. People who like history may be interested in purchasing historic Beach Haven NJ homes for sales. Those are interested in the area's history can learn more about it in the town's museums. Artifacts and photographs from Long Beach Island's history are displayed at the Long Beach Island Museum. Visitors can learn about the maritime history of New Jersey at the New Jersey Maritime Museum. Music lovers will find plenty to do in Beach Haven. They can attend musicals and concerts at the Surflight Theatre. Weekly concerts are held during the summer at Beach Haven Veterans Bicentennial Park. Beach Haven residents will not have to travel too far to take college classes. Atlantic Cape Community College is 17 miles away in Atlantic City. The Richard Stockton College of New Jersey is 16 miles away in Galloway. Georgian Court University is 37 miles from Beach Haven in Lakewood Township. People who have purchased Beach Haven NJ homes for sales can reach other parts of the country by train or plane. The Amtrak station in Atlantic City is 17 miles from Beach Haven. The Thruway Train from this station takes passengers to Philadelphia. Trains from Philadelphia will take passengers north to Vermont or south to Florida. Philadelphia International Airport is 78 miles from Beach Haven. Passengers can take domestic flights and international flights from this airport. Those who are interested in Beach Haven NJ real estate can contact a Realtor by phone or email. Beach Haven is a borough on Long Beach Island in Ocean County, NJ. The town is between the Atlantic Ocean and Manahawkin Bay. Beach Haven NJ real estate includes houses, condos and townhomes. There are a few large houses with eight or nine bedrooms. Many houses have three or four bedrooms. Condos with one or two bedrooms are available. Beach Haven NJ luxury homes for sales have amenities such as hot tubs, spacious decks and fireplaces. Many of these homes are on the beach or just a short walk from the beach. Some Beach Haven NJ water front properties are townhomes in a complex with a private marina, a swimming pool and a hot tub. The beach is one of Beach Haven's main attractions. Those who purchase Beach Haven NJ water front properties can easily participate in recreational activities in the water. The beach here has places for swimming and sunbathing. Those who enjoy shopping will be delighted with Beach Haven's specialty shops. People who have just purchased Beach Haven NJ luxury homes for sales can furnish them with antiques from Beach Haven Antiques. They can purchase artwork for their new homes in the galleries at Bay Village. Specialty shops at Bay Village sell accessories, toys, gifts and clothing. Hungry shoppers can purchase fudge, taffy and cookies in shops here. The whole family will enjoy visiting Thundering Surf Water Park or Fantasy Island Amusement Park. The water park has water slides and a play area for toddlers. The amusement park has children's rides and arcade games. People who like history may be interested in purchasing historic Beach Haven NJ homes for sales. Those are interested in the area's history can learn more about it in the town's museums. Artifacts and photographs from Long Beach Island's history are displayed at the Long Beach Island Museum. Visitors can learn about the maritime history of New Jersey at the New Jersey Maritime Museum. Music lovers will find plenty to do in Beach Haven. They can attend musicals and concerts at the Surflight Theatre. Weekly concerts are held during the summer at Beach Haven Veterans Bicentennial Park. Beach Haven residents will not have to travel too far to take college classes. Atlantic Cape Community College is 17 miles away in Atlantic City. The Richard Stockton College of New Jersey is 16 miles away in Galloway. Georgian Court University is 37 miles from Beach Haven in Lakewood Township. People who have purchased Beach Haven NJ homes for sales can reach other parts of the country by train or plane. The Amtrak station in Atlantic City is 17 miles from Beach Haven. The Thruway Train from this station takes passengers to Philadelphia. Trains from Philadelphia will take passengers north to Vermont or south to Florida. Philadelphia International Airport is 78 miles from Beach Haven. Passengers can take domestic flights and international flights from this airport. Those who are interested in Beach Haven NJ real estate can contact a Realtor by phone or email. title: Beach Haven Real Estate article: Beach Haven is a borough on Long Beach Island in Ocean County, NJ. The town is between the Atlantic Ocean and Manahawkin Bay. Beach Haven NJ real estate includes houses, condos and townhomes. There are a few large houses with eight or nine bedrooms. Many houses have three or four bedrooms. Condos with one or two bedrooms are available. 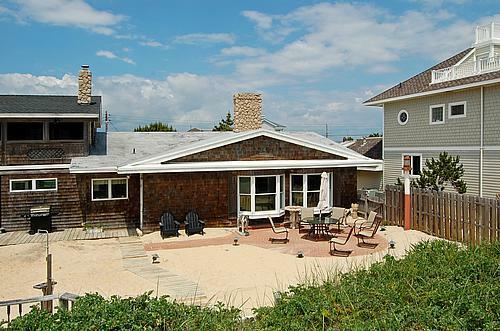 Beach Haven NJ luxury homes for sales have amenities such as hot tubs, spacious decks and fireplaces. Many of these homes are on the beach or just a short walk from the beach. Some Beach Haven NJ water front properties are townhomes in a complex with a private marina, a swimming pool and a hot tub. The beach is one of Beach Haven's main attractions. Those who purchase Beach Haven NJ water front properties can easily participate in recreational activities in the water. The beach here has places for swimming and sunbathing. Those who enjoy shopping will be delighted with Beach Haven's specialty shops. People who have just purchased Beach Haven NJ luxury homes for sales can furnish them with antiques from Beach Haven Antiques. They can purchase artwork for their new homes in the galleries at Bay Village. Specialty shops at Bay Village sell accessories, toys, gifts and clothing. Hungry shoppers can purchase fudge, taffy and cookies in shops here. The whole family will enjoy visiting Thundering Surf Water Park or Fantasy Island Amusement Park. The water park has water slides and a play area for toddlers. The amusement park has children's rides and arcade games. People who like history may be interested in purchasing historic Beach Haven NJ homes for sales. Those are interested in the area's history can learn more about it in the town's museums. Artifacts and photographs from Long Beach Island's history are displayed at the Long Beach Island Museum. Visitors can learn about the maritime history of New Jersey at the New Jersey Maritime Museum. Music lovers will find plenty to do in Beach Haven. They can attend musicals and concerts at the Surflight Theatre. Weekly concerts are held during the summer at Beach Haven Veterans Bicentennial Park. Beach Haven residents will not have to travel too far to take college classes. Atlantic Cape Community College is 17 miles away in Atlantic City. The Richard Stockton College of New Jersey is 16 miles away in Galloway. Georgian Court University is 37 miles from Beach Haven in Lakewood Township. People who have purchased Beach Haven NJ homes for sales can reach other parts of the country by train or plane. The Amtrak station in Atlantic City is 17 miles from Beach Haven. The Thruway Train from this station takes passengers to Philadelphia. Trains from Philadelphia will take passengers north to Vermont or south to Florida. Philadelphia International Airport is 78 miles from Beach Haven. Passengers can take domestic flights and international flights from this airport. Those who are interested in Beach Haven NJ real estate can contact a Realtor by phone or email. Markets Served: Long Beach Island Real Estate, Beach Haven Real Estate, Harvey Cedar Real Estate, Barnegat Light Real Estate, Surf City Real Estate, Ship Bottom Real Estate and surrounding areas. 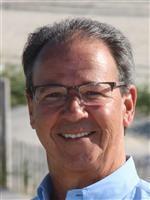 This is a one-stop real estate website for all your home buying and selling needs on Long Beach Island.